Because of a previous spat last October, the Carphone Warehouse no longer sells Vodafone contracts - so we were surprised when news came through of a partnership between the two. It appears that Carphone Warehouse is to set up a new mobile offering, called Talkmobile, that will piggy back on Vodafone's network. It seems Talkmobile will be a pay monthly service with fixed-term transparent contracts. The selling point will be its ability to offer cheaper contracts over a shorter term. Contracts will be offered for 9, 12 or 18 months for £12, £15 and £18 per month respectively. The basic levels of included free minutes with each cheapo tariff are 50, 75, and 100. Carphone Warehouse already has two subsidiary Mobile Virtual Network Operators (known as MVNOs), Fresh and TalkTalk Mobile, both of which use T-Mobile's network. 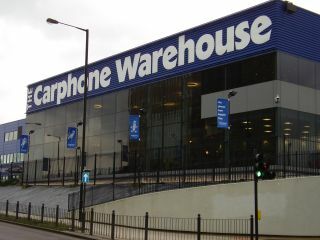 Carphone Warehouse shares were nudged up 3.6 per cent as a result of this news, presumably out of relief that relations between the chain and Vodafone are thawing.